Monongah was an exceptional example of the great risks that have always faced miners. While some reduction in risks has occurred as technological improvements are brought into use, the risks still remain at an unacceptably high level. Pennsylvania and West Virginia were major producers of coal in the early years of the twentieth century. In Monongah, West Virginia, on December 6, 1907, the full horror of mining’s dangers was brought home to everyone when 363 miners went down below to work and only one returned. Work began early on that morning soon after five o’clock. Coal dust, a potentially lethal material unless it is thoroughly dampened, lay all over the floor of the pits and was used by the men to pack the holes they had drilled and loaded with black powder explosives to loosen the coal. It was always a risky business as they used carbide lamps with open flames as their only source of light. Five hours after work began a huge explosion shattered the two connected pits. The explosion rocked the buildings above ground and was heard eight miles away. The devastation below was total and it was amazing that even one man escaped. He happened to be at the site of an open-air vent that reached the surface. For all the others death was instantaneous. Dozens of bodies were so badly dismembered by the explosion that they could not be identified. The night before the explosion, instructions had been given to have the coal dust watered down but the person responsible for that work was moved to another mine shortly before he was due to do this work. The whole tragedy was the worst coal disaster in the nation’s history and it marked the beginning of, for that time, new safety regulations. Connecting of underground mines in order to make them a single operation was made illegal immediately in West Virginia. Three years later the United States Bureau of Mines was established and it stopped nationally both the use of black powder as an explosive and the tamping of drill holes with coal dust. Accidents continued to occur across the United States for one of three reasons—explosions, fires, or roofs collapsing— and, in the years from 1900 to 1910, human error led to many tragedies. Knowledge of the dangers and ability to cope with them were both poor. Throughout Europe, North America, and Australia, coal was the early twentieth century’s primary source of energy for industry and transportation. It was mined intensively and often with inadequate attention to safety. The accelerating demands of industry led to shortcuts that increased output but endangered the lives of miners. Coal still remains a major source of energy, particularly for generating electricity, and there are enormous quantities available across the United States. At present rates of consumption supplies could last a thousand years. The room and pillar method of mining, in which in which masses of coal seams were left standing to support the overlying rock while the coal around them was taken out, was in widespread use. In this environment miners had to encounter and get used to new areas of work all the time. Death rates were very high. Even today they are higher than in most other industries. In 1946, immediately after World War II, these rates in U.S. mines were still high, over seven hundred annually. Thirty years later, the death rate every year had dropped to one-third of the 1946 figure. Sometimes a whole underground region was endangered when a mine was not carefully closed down. In one place in Pennsylvania a mine was abandoned after a fire but some smoldering embers were ignored. Twenty years later the underground fire was still slowly burning. Prior to the devastation at Monongah, similar disasters were occurring in different locations across the United States. Coal resources were widely available and the demand for coal continued to grow. Local initiatives could be launched to meet the needs of the market. In the period before 1910 there was little federal regulation of operations, and there was also limited state supervision. Mines were planned and worked by their owners and supervised by owner-appointed inspectors. 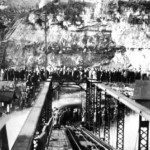 On May 1, 1900, at the Pleasant Valley Company’s Schofield Mine in Utah, two hundred lives were lost when a series of explosions occurred in two shafts. The cause of the tragedy was either ignorance or indifference. Thirty containers of black powder had been stored in one of the pits. None of the miners at work on an adjacent pit, using explosives, were told of the bomb next door. The story was often similar in other countries. Australia, like Britain and the United States, was heavily dependent on coal in the first part of the twentieth century. On July 31, 1902, a gas explosion occurred at a mine on the coast, fifty miles south of Sydney, killing ninety-six and injuring 152 others. At this particular Australian mine, operations date back to 1883 where an eight-foot seam of coal was being worked. It was located some distance below ground and access was gained via a horizontal shaft below the coal seam. By the very nature of the site it was clear from the beginning that an explosion and fire would trap every miner and make escape or rescue almost impossible. An explosion would release quantities of coal, adding fuel to the fire and blocking off exits. For this reason, responsibility lay heavily on the mine manager to ensure that no one went underground if there was the slightest indication of gas, especially since, at the time of the explosion in1902, open-flame lamps were still in use. As the explosion occurred roofs collapsed and coal cars were thrown about like toys. Blasts of hot gas swept through the work areas. Subsequent inquiries revealed that the mine manager was aware of small pockets of gas in the mine, despite his assurance to the miners, on the day of the explosion, that there was none. The explosion and subsequent tragedy was caused by contact between a miner’s lamp and one of the gas pockets. For the most part, in the early years of the twentieth century, most mine disasters were the result of either not dampening coal dust or not checking carefully for the presence of gas. With open flame lamps as the normal type of lighting it is easy to see now that these two things should have been given top priority. On July 10, 1902, at the Johnstown Mine in Pennsylvania, 112 men lost their lives in an explosion because no one checked for the presence of gas even though the mine was known to have gas. At the Hanna Mine, Wyoming, on June 30, 1903, the same neglect occurred and 169 miners were killed in the explosion and fire that ensued. Conditions were even worse then elsewhere in this case. Work was stopped for a time because of the accident but later resumed on a different level without attending to the problem that had led to the work stoppage. There was a second explosion and fifty-nine miners died. Local outrage forced the permanent closure of the mine. In Alabama the men who worked the mines were often black chain gang inmates who were serving time in hard labor. There was little recourse open to these men if something went wrong and this may explain why managers often took greater risks there than they should. Short fuses were sometimes used to save costs but that meant that workers had less time to get away from a blast site. On March 23, 1905, too much dynamite was used in one blast, triggering a general explosion that killed 112 men. Two years later, at another mine, an explosion took the lives of thirty-seven convicts because the management had not dampened the heavy layers of coal dust on the pit floor. Four years later, on April 8, 1911, at Alabama’s Banner Mine, the same neglect of failing to check for gas and not dampening the coal dust caused an explosion that killed 128 men. The story of inadequate safety can be traced to other states where attention to the presence of gas and dry coal dust was neglected. In Colorado on April 27, 1917, managers of a mine with a history of tragedies allowed 120 men to go below without first checking for gas. All 120 were killed in the explosion that followed. It was the same outcome and again due to the same neglect of the mine’s lethal elements that caused the death of 170 miners in Utah on March 8, 1924. The similar tragedy of 1900 in Utah seemed to have been forgotten. Other factors than gas and coal dust can sometimes lead to catastrophic mining events. The Cherry Mine in Illinois had an excellent record for safety. On November 13, 1909, however, because there was a temporary problem with the electrical power circuit, electric lamps could not be used so open-flame gas lamps were introduced for the day. Mules were being used at this time to haul the mine carts and fodder for them, bales of hay, were stacked at the mine’s entrance. A miner’s lamp touched one of the bales but no one took any notice of it for some time. The hay smoked a little but there was no fire. Quite suddenly a flame shot up into the air and workers scrambled to get the hay away from the mine entrance, unaware that the big ventilation fans had already boosted the fire. It was too late to stop it and the heat forced everyone to step back. Flames soon spread to the mine’s wooden support pillars and almost simultaneously triggered gas explosions within the mine. The mules panicked and ran back into the shaft to get away from the smoke and heat. So did the miners who knew the lethal power of gas and smoke in the small spaces where they worked. The small handful of men who were outside the mine when the fire broke out decided to go down in the cage and rescue those trapped below. They were overcome by gas fumes and were all dead when the cage was pulled back up. In an equally futile and ill-informed move, the mine superintendent sealed off the entrance thinking that this would smother the fire. Underground damage was widespread and nothing could be done until the morning of November 14 when it was safe for rescuers to go down below. Rescuers found 170 men still alive. They had been able to get into small crevices away from the smoke. Another 259 men had died. It was the worst mine disaster in the history of Illinois. In all of the above instances the tragedies were due to one of two things, carelessness or lack of experience on the part of miners, or failure by mine managers to take adequate safety precautions. The idea of a safe mine is now a top priority throughout the industry. The growing environment movement is expressing concerns about pollution and health risks. Companies are determined to show that, whatever environmental damage they may cause, at least they are deeply concerned for the safety of the miners. There is greater understanding of the geology of mine structures, better and safer equipment for all aspects of mining, and emergency resource kits. All these make it easier to safeguard the lives of those who work below ground.